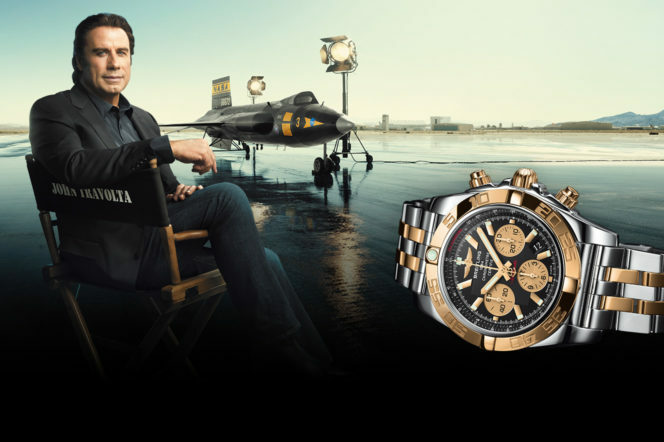 There’s a reason why Breitling picked John Travolta to be its brand ambassador in 2005 – not only is the man a grade-A Hollywood star, but he also flies his own jet, holds his own pilot licence and even has a runway instead of a driveway for his house. 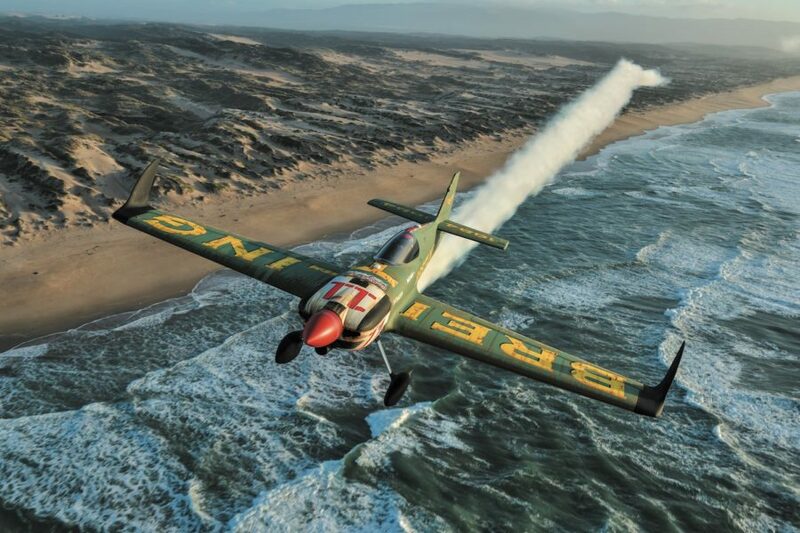 To focus on the actor’s motivations for representing the brand is only part of the story – after all, the brand already espouses its love of high speed and planes with the fact it has its own jet team, air race, wing walkers and a DC-3, which took part in the Normandy Landings. 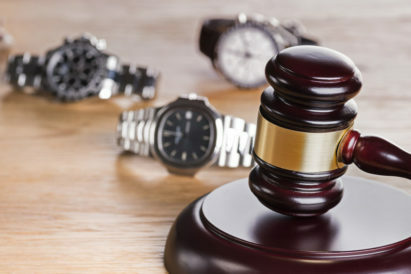 Let’s return to the manufacturer’s very foundations when, in 1884, Leon Breitling set up a small watchmaking facility in the Swiss Jura mountains roughly 140km from Geneva. 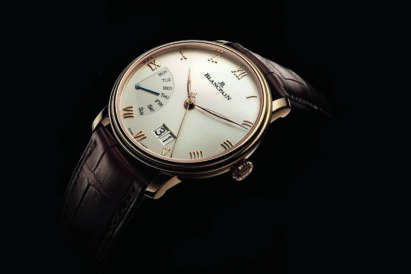 It was with a great fortitude that he set about focusing on producing timers and chronographs, which, at the time, was an extremely formidable task. Throughout his life, he was dedicated to entering the arenas of sports and motor racing timers. 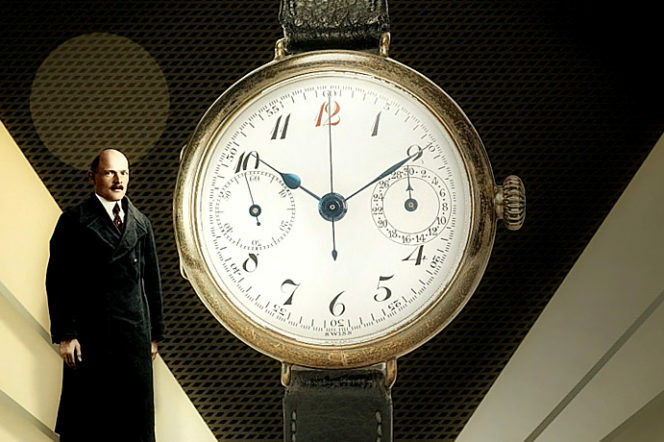 Unfortunately he was to die one year before his company perfected the crucial component in 1915 – the independent chronograph push-piece. This was further refined until 1923 when the company experienced a significant breakthrough and finally achieved the goal of being able to add numerous successive times, which mitigated the need to return the hands to zero. 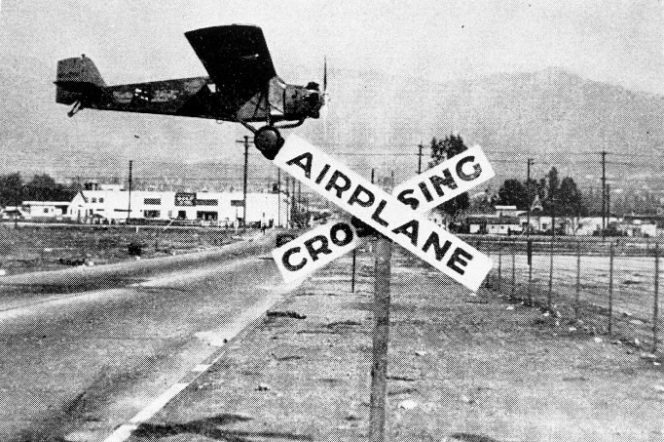 This patented innovation secured not only its place as a steadfast recorder of times in sports and racing competitions but, most importantly, in calculating flight times. Such was the accuracy of its chronographs that the name Breitling quickly became the essential timepiece amongst pilots in the 1930s, who were themselves motivated by the need to break ever-expanding records, speeds and more importantly, heights. 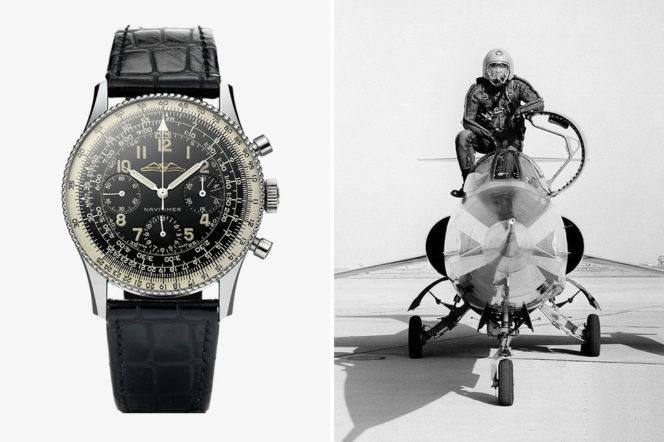 It was at this time that Breitling began manufacturing chronographs for aircraft instrument panels. 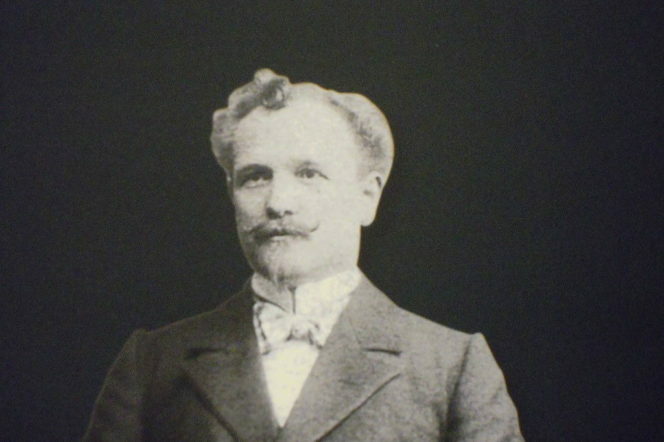 A young engineer at the company, Marcel Roberts, also became integral in their design and construction of such recognisable aesthetics and design methods that continue today such as a large black dial, luminescent numbers and a rugged housing. Encouraged by the brand’s then owner, Willy Breitling (Leon’s grandson), Roberts’ input was especially important because not only did the chronographs have to keep time, but they had to do so in the most challenging conditions imaginable. 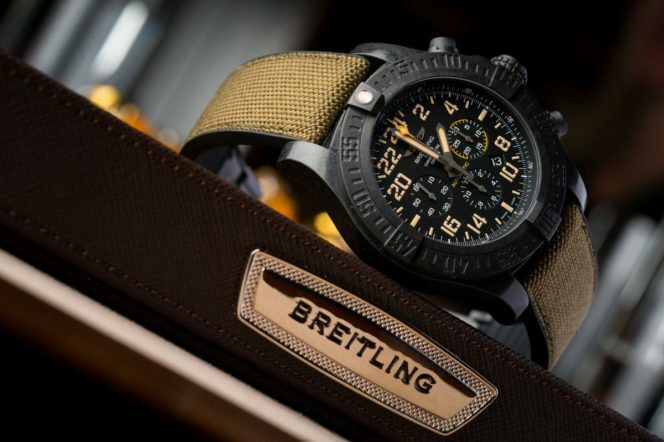 In 1938, the Royal Air Force brokered a deal with Breitling to supply its planes with this new technology. Three years later though, with the war in full swing, Switzerland’s threat of invasion from Germany had put a stop to this bulk buying. 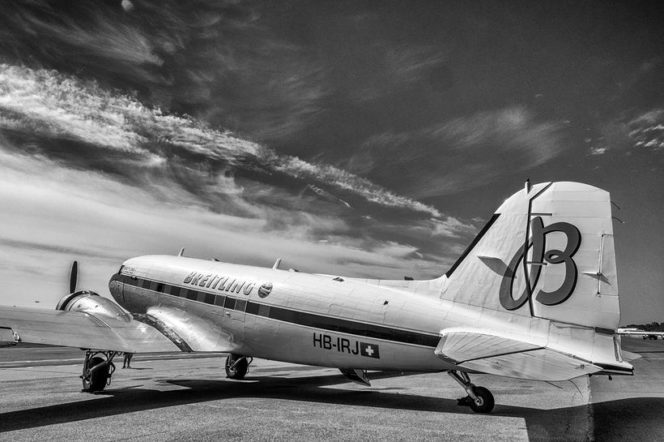 But how did British planes still come to use Breitling chronometers? The story goes that Willy would often meet, at great personal risk, a small British plane that would land in a pre-arranged isolated field. Upon stopping, Willy would rush to the plane and load as many chronometers for the countless Hurricanes and Spitfires being constructed as he could on board. His method of avoiding detection? A great dose of luck. Well, that and driving at great speed to the nearest town, getting outrageously drunk, starting a fight and thrown in jail for the night. 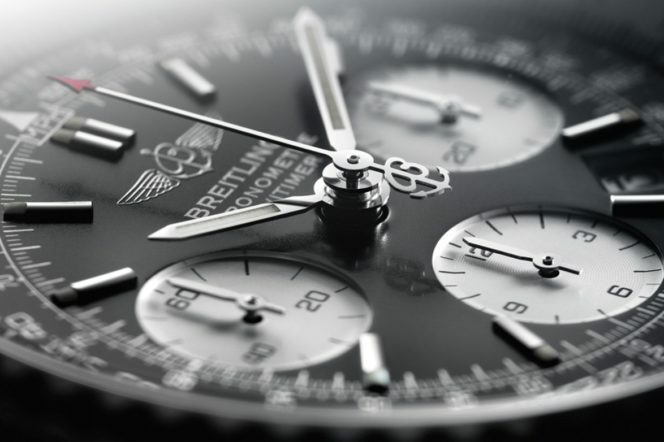 By 1952, Breitling continued its pioneering output with the release of its Navitimer wristwatch which featured a circular slide rule around the watch, allowing precise navigational calculations to be made with flight gloves on. It is still the oldest chronograph in-production and it’s revered by collectors and pilots alike. Breitling haven’t just stopped there though. 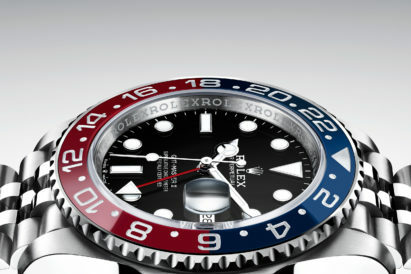 The brand now has a whole range of covetable watches such as the Avenger Hurricane Military (with Nato strap, natch), Super Ocean Heritage range and Professional editions that are synonymous with robustness and precision, pieces that are every bit as individual and compelling as the history of this truly unique company. 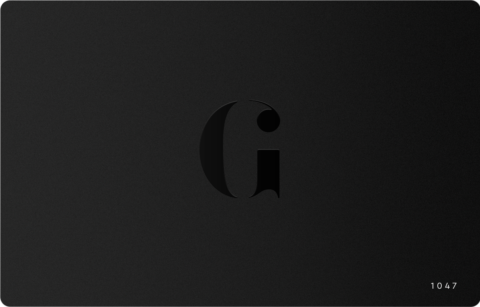 Looking for more long-reads? Check out our piece on Roman Abramovich and how he earned his wealth.